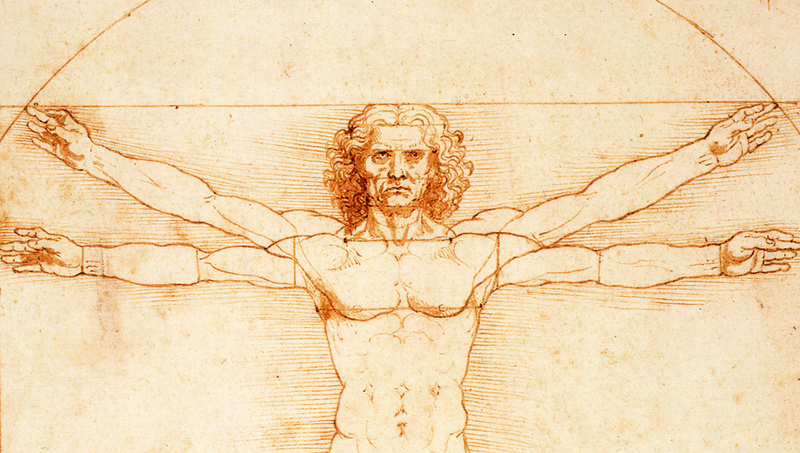 Biographers have struggled for centuries to account for the source of Leonardo’s genius. Our question, however, is not what made Leonardo so talented, but how he was able to cultivate such a range of talents. How was Leonardo able to cultivate such a wealth of powers, and by cultivating his powers, become everything that he was capable of being? There is no doubting the fecundity of Leonardo’s gifts. Our question is: what made it possible for him to realize these gifts, thereby to unleash his whole person? To understand how Leonardo da Vinci was able to unleash his whole person, we need to consider the environment in which he served his apprenticeship. This was the city of Florence in mid-fifteenth century Italy. Florence, at the time, was ground zero of the Italian Renaissance. In 1453, the year after Leonardo’s birth, Constantinople, the capital of the Byzantine Empire, fell to the Ottoman Turks. Emigré Greek scholars descended upon Florence and other cities on the Italian peninsula, where they were embraced by a rising class of merchants and aristocrats flush on the thriving markets of the time. This sparked a new age of culture and learning in Italy, and Florence in particular. The Italian Renaissance had begun, and Leonardo was right at the heart of it. Consider the opportunities that Florence must have offered the young artist and inventor. The bustling city was precisely the environment that Leonardo needed to cultivate a wealth of powers. Each day, as he strolled through the streets of Florence, Leonardo witnessed incredible technical and artistic achievements rising from the earth, whilst rubbing shoulders with (and occasionally studying under) the giants who’d achieved them. Florence was an artistic hotspot, drawing talent from across the peninsula. It was a liberal and progressive environment, replete with scholarship and innovation, where mathematicians poured over Euclid’s axioms and anatomists explored the fibres of the human body in search of the immortal soul. Most importantly, Florence was a generous environment, with dukes, bishops, and families like the Medicis eager to finance paintings, statues, and cathedrals to the glory of God and the Renaissance. The city of Florence said to Leonardo: Come to me. I value your creation. To identify, cultivate and realize his potential, all that he needed to do was be part of it. One lesson we might take from Leonardo’s story concerns cities as hubs of creative culture. Authors such as Richard Florida and Steven Johnson have explored how cities become hubs of knowledge-sharing and innovation, nurturing weak-tie networks that enable creative action. The lesson that I want to take from Leonardo’s story, however, is an existential one. It concerns how we should live in order to develop a creative personality. If you want to cultivate a rich and diverse set of powers, live from the heart. No one bursts into the world aware of everything that they are capable of thinking, feeling, doing and being. If we know ourselves at all, it is only because we have discovered our powers in the course of engaging with others and experiencing life. We need to test ourselves against the world to see what we are made of. We need to throw ourselves into life, sensitive and vulnerable to the affects our encounters produce, and learn from the results. Living from the heart doesn’t mean leaping into every project that comes your way. If you leap into every project, you’ll exhaust yourself. Before leaping into anything, you should find a fit. You need to engage with new people and projects experimentally, attending to how you feel as you negotiate the tasks and relationships – exhilarated, intrigued, encouraged, or scared. This is what Leonardo did on the streets of Florence. It was an education that happened day by day. There were no classes, texts or syllabuses. It was a matter of tapping into a thriving world of initiative and learning to live from the heart. When you open your heart to the people around you, treating them as friends and companions on a common journey, something magical occurs. The passions that you sense in others start to resonate in you. The challenges that you encounter spark a fire in the soul. This kindles a feeling of empowerment. To enrich and diversify yourself and become a flourishing human being, you must pursue this feeling in everything that you do. Listen to your heart. Let the way that a situation affects you tell you whether it empowers you or not. Taking this approach to social life can help you identify hidden sources of power. At the very least, it will pull you out of your shallow absorption with yourself and help you connect with the sparking energy of the social world. It is the only way to explore new talents and capacities. Left to our own devices, we tend to retreat into comfort zones. We fall back on familiar ways of thinking, feeling, acting, and living. We become existentially conservative, shying away from new, strange, or difficult tasks, and gravitating towards activities we know we do well. The result is that we fail to explore our full palette of powers. Like mediocre artists, we paint the landscape of life out of primary colours, ignoring the vast array of alternatives that the colour spectrum presents and the thrilling task of discovering them through experiments in combination and mixture. It doesn’t have to be this way. The broader and more diverse the set of powers we have to draw on, the easier it is to tackle life productively and creatively. Leonardo da Vinci knew this better than most people. By cultivated a staggering array of powers as an artist, scientist, inventor and engineer, Leonardo made himself ready for any new project that came before him. No doubt, for the most part, Leonardo chose projects that played to his strengths in artistry and design. But, having an extensive range of powers on hand, he was able to be agile and experimental when faced with an unfamiliar task, and to alter his way of thinking and working to suit the challenge at hand. If the project stretched the limits of his capacities – so much the better! New challenges can be a learning experience. A new situation can be an opportunity to experiment with formative powers and to work them up in order to draw on them further down the line. This post is an edited excerpt from Chapter 4 of Life Changing: A Philosophical Guide (2012). Many thanks to Matt Jackson and Soren Trampendach for conversations on Da Vinci since then.